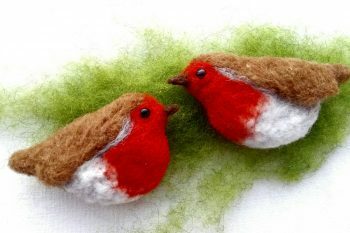 These workshops are pre-booked online; any remaining tickets are available for sale from the Workshop Enquiries Desk situated at the back of the Hall 19 at the end of Aisle P.
Please note: It is important to arrive at the Creative Den Rooms, 5-minutes before the start of your workshop. These are located at the back of hall 19, at the end of aisles G and H.
These workshops are no longer available to book online. You can book remaining spaces on the day of your visit at the Workshop Enquiries Desk in Hall 19. 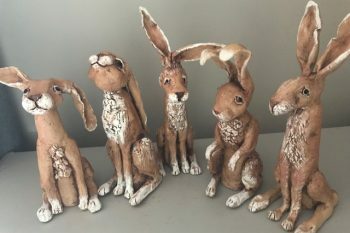 Join ceramic artist Ros Ingram and learn how to create your own characterful clay hare in this step-by-step workshop. All materials provided; firing and postage available at extra cost on the day. Suitable for all ages and beginners; no children under 10 years. 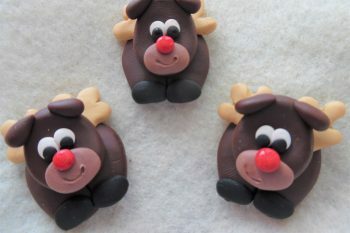 Join Ange Smith in this fun workshop and learn how to use polymer clay to create a cute Reindeer Brooch, which will be fired on the day enabling you to take home a finished piece. All materials provided. 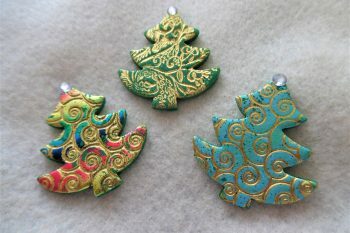 In this one-hour workshop you will create a Christmas tree ornament/brooch using polymer clay and foiling techniques. 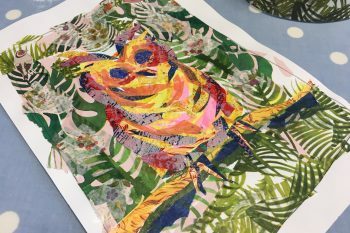 The finished piece will be baked on the Guild’s stand and available for collection approximately an hour after the end of the workshop. 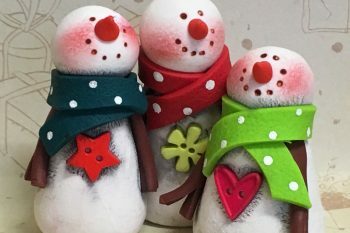 Create your very own adorable snowman ornaments using polymer clay. 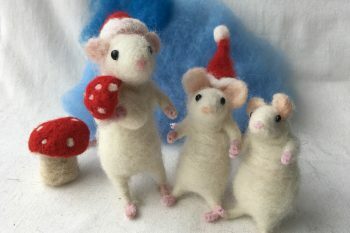 This is a one-hour workshop and is suitable for beginners. 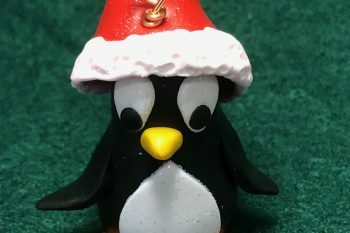 Come along and create this little cutie penguin, using polymer clay and glitter; measuring just over 5cm tall, he’s great for hanging on your tree… You’ll want to go home and make a whole colony of them! 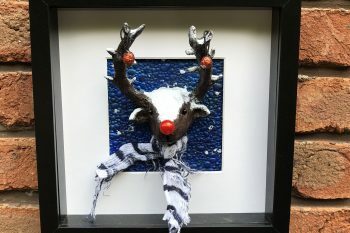 Come and create a fun, mixed media, sculpted reindeer head with hanging baubles, on a winter background. You will take away a finished, framed piece ready to hang. Suitable for all abilities. Spaces still available. Booking will re-open at 9:30am on the 1st November, please enquire at the Workshop Desk on your arrival. 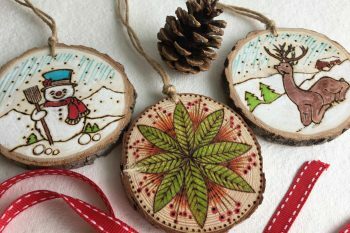 Come and create an original tree decoration, using a hot wire pen to burn your designs onto a log slice. 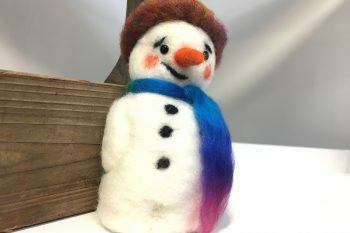 The technique is similar to drawing or painting, and you will be able to add colour with felt pens or acrylic paint… Places are limited so book early to avoid disappointment! 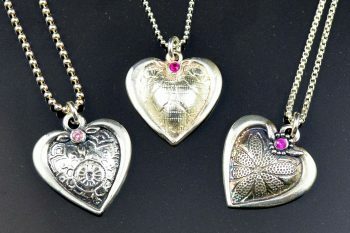 Join Jewellery Maker TV Guest Designer Tracey Spurgin as she guides you through the magical world of creating fine silver jewellery using silver clay. Tracey takes you step-by-step to create a stunning pendant set with a gleaming gemstone; your finished piece will be ready to wear at the end of the session. Note: Chain not included. Let your imagination and artistic energy take flight and create your own totally unique exotic bird made from paper collage – and go home with a beautiful artwork. 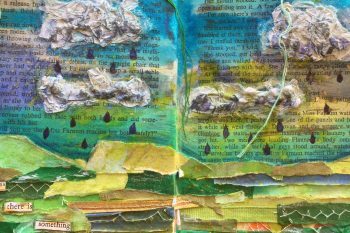 There is also the chance to turn your artwork into a stunning paper lampshade for an additional charge. 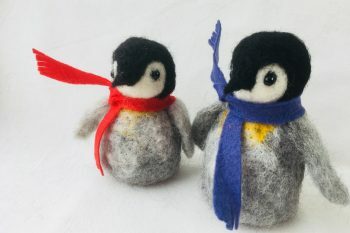 Learn 3-D needlefelting techniques and wool mixing methods to create a sweet penguin chick, with authors Steffi and Sophie from The Makerss. Suitable for beginners and more advanced.